Fifty years on, the truce is still all that technically prevents North Korea and the US - along with its ally South Korea - resuming the war, as no peace treaty has ever been signed. The document, signed by US Lieutenant General William K Harrison and his counterpart from the North's army, General Nam Il, said it was aimed at a ceasefire "until a final peaceful settlement is achieved". However, that settlement never came, and a conference in Geneva in 1954 which was designed to thrash out a formal peace accord ended without agreement. 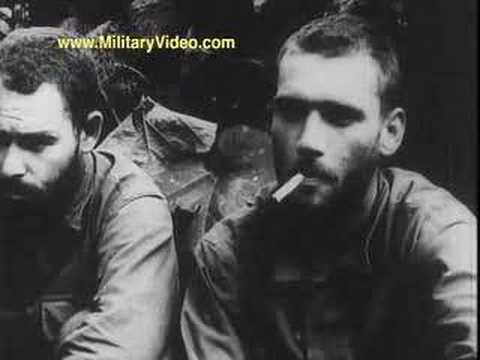 Both sides pledged not to "execute any hostile act within, from, or against the demilitarized zone", or enter areas under control of the other. On 13 December, 1991 the Agreement on Reconciliation, Nonaggression, Exchanges, and Cooperation was signed by Chung Won Shik (ROK Prime Minister) and Yon Hyong Muk (DPRK Premier). On November 29, 1952, U.S. President-elect Dwight D. Eisenhower fulfilled a campaign promise by going to Korea to find out what could be done to end the conflict. With the UN's acceptance of India's proposal for a Korean armistice, a cease-fire was established on July 27, 1953, by which time the front line was back around the proximity of the 38th parallel, and so a demilitarized zone (DMZ) was established around it, presently defended by North Korean troops on one side and by South Korean, American and UN troops on the other. The DMZ runs north of the parallel towards the east, and to the south as it travels west. The site of the peace talks, Kaesong, the old capital of Korea, was part of the South before hostilities broke out but is now part of the North. 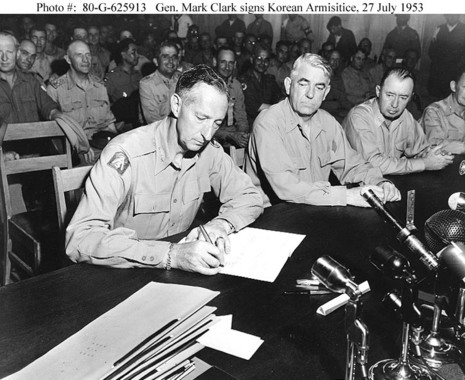 North Korea and the United States signed the Armistice Agreement, with Syngman Rhee refusing to sign.